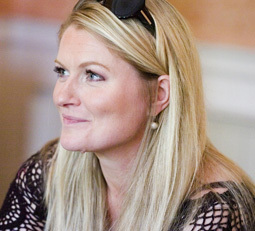 Born in Dublin, her operatic repertory ranges from Monteverdi, Handel and Glück to Rossini, Bizet and Verdi. Her many operatic performances include Tancredi and Arsace (Semiramide) for La Fenice, Venice; La Cenerentola for La Monnaie, Brussels and in Lausanne; Andronico in Amsterdam, Madrid and Washington DC; Carmen (title role) for WNO, Hamburg State Opera and Scottish Opera; Anna (Les Troyens) in Florence; Penelope (Il ritorno d’Ulisse in Patria) in Florence, Athens and at the Berlin State Opera; Edwige (Guillaume Tell) and Marta (Mefistofele) for The Royal Opera House, London, and Smeaton (Anna Bolena) for San Francisco Opera. In 2007, Patricia created the title role in Saariaho’s Adriana Mater for Opéra-Bastille and sang the Adriana Mater Suite with the New York PO. 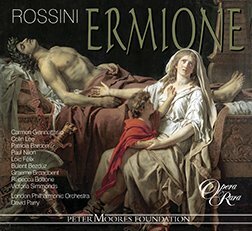 Performances include Cornelia (Giulio Cesare) for the Metropolitan Opera New York, Chicago Lyric Opera, Munich Staatsoper and Glyndebourne, and Tamerlano in Madrid and Washington with Domingo. 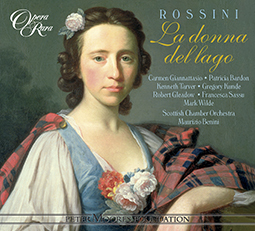 For Opera Rara she has recorded Rossini’s La donna del lago (ORC34) and Ermione (ORC42).